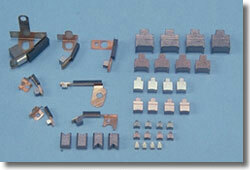 Carbon brushes have a very important role as parts providing electric current in order to rotate motors. 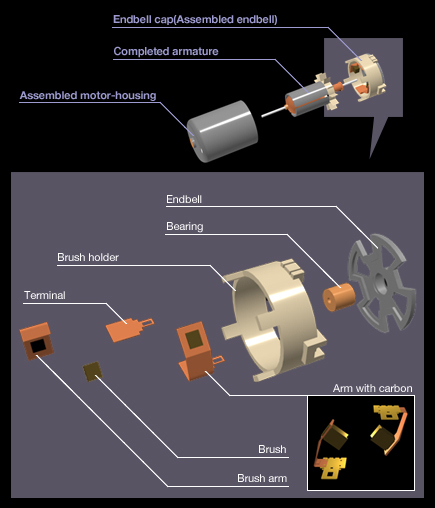 CoorsTek’ carbon brushes are widely employed in various types of motors in such basic industries as electric power plants, iron and steel works, public transportation, and also in familiar products such as automobiles, electric appliance, and computer peripherals. 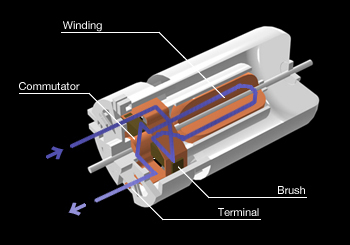 In addition, non-lead brushes are enjoying an excellent reputation among many customers given their environmental protection properties.